Water damage can be classified into different categories and classes. The first determines the type of water damage as well as the degree of potential contaminants in it. The latter defines the severity and scale of the damage along with the estimated rate of evaporation, considering the affected area and types of materials that were hit by the damage. Category 1: Damage refers to clean water damage originating from a clean or sanitary water source, hence posing no substantial health risks. Category 2: Damage is grey water damage originating from toilet bowls, seepage from hydrostatic failure, sump pump failures, and water discharge from washing machines and/or dishwashers. Rainwater from the outside may also be considered as Category 2 damage. Category 3: Damage refers to black or toxic water damage. This kind of Montreal emergency water damage describes water that’s grossly contaminated by harmful toxigenic or pathogenic agents. This may include water carrying organic matter, silt, pesticides, regulated materials, heavy metals, and other toxic substances. Toilet backflow and sewage are also considered Category 3 water damage. Water damage can likewise be described in terms of the rate of evaporation. Class 1 has the slowest rate of evaporation, climbing up to classes 2 and 3, all the way to class 4, which is hardest to remediate and may require specialty drying methods as it involves materials with low porosity or permeance. 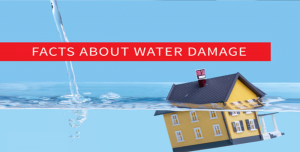 Water Damage Montreal specializes in water damage restoration for all categories of water damages. Our certified professionals guarantee to be onsite within 45 minutes of all water damage emergencies in Montreal and operate 24/7. We have an emergency crew ready to be dispatched 24 hours a day, 7 days a week that utilize advanced technology and equipment. Our equipment ensures that we effectively extract all the water from your home and restore your home back to pre-disaster conditions.